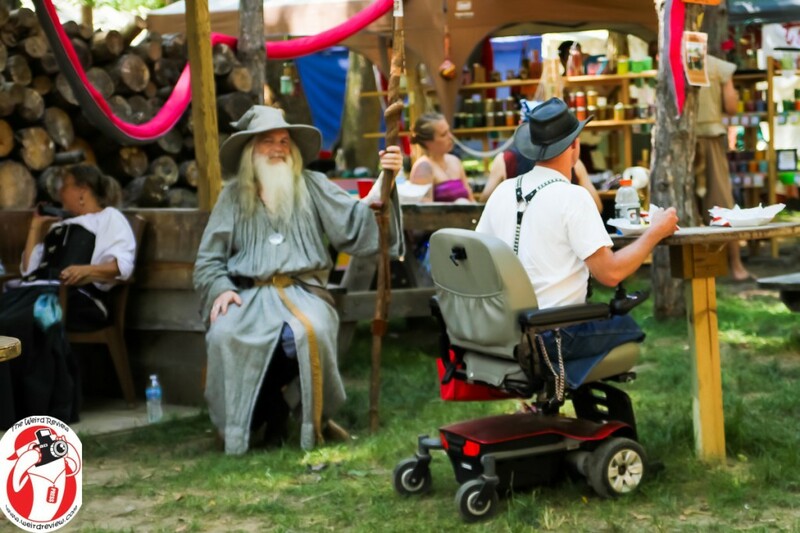 Renaissance Festivals are a great place to set the modern world to the side and escape to an otherwhen and see live performances from jousting, sword fighting, jugglers, fire eaters to concerts with music of another time. 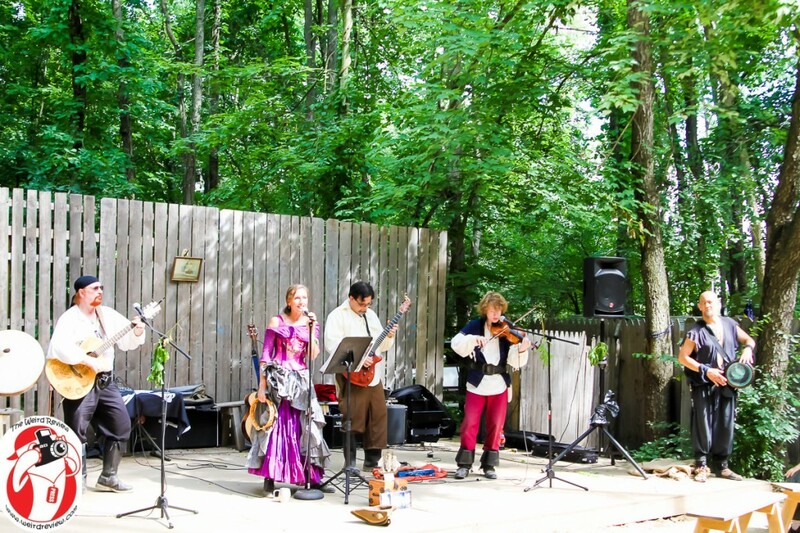 The band Pirates and Wenches have been offering up their music at the Olde World Village, home of the Steam Dream Expo, with their own original music and traditional shanties. Jared Vaden plays his violin and other instruments for the band. Ramberto Bastell is on the guitar and brings a strong Spanish influence to their original music. 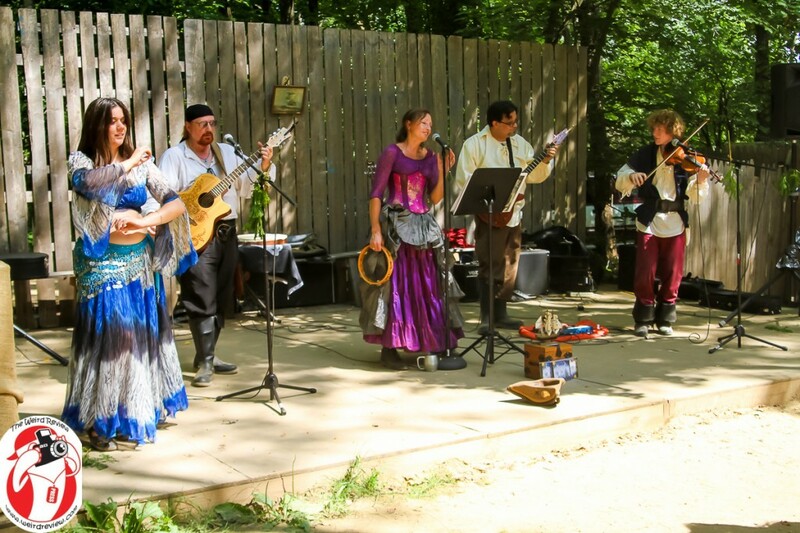 Ed Swarthout is on guitar, and his wife, Becca enchants the audience with her belly dancing. The instrumentation is polished and beautiful. Renae Anderson is the lead vocalist and her voice is sweet and light, even when her lyrics lean strongly towards the dark. On some of traditional shanties, Ed sings the lead. In contrast with Renae, Ed can be a bit pitchy, especially on “Off to Sea Once More.” With the pirate theme in mind, it fits and on the old favorite, “Sloop John B”, it is hard to refrain from joining in. Where the band really excells is on their original compositions. Their ballads are beautiful composed and performed. They make the album well worth the purchase. “Black Widow” is a bit tongue in cheek song about a widow whose husbands had a penchant for dying at sea, except for the fellow she married who brought a knife t0 a gun fight. On “Shores of Los Hados” Renae is the lyricist and vocalist while Ramberto scored the music and it is composed and performed masterfully. Despite a few weaknesses, the CD is great and “Shores of Los Hados” alone had me opening my wallet as well as merrited four stars out of five. Sadly, their CD is not currently available anywhere but at their performances. So you will need to catch them live and slip them a ten spot for your own copy. 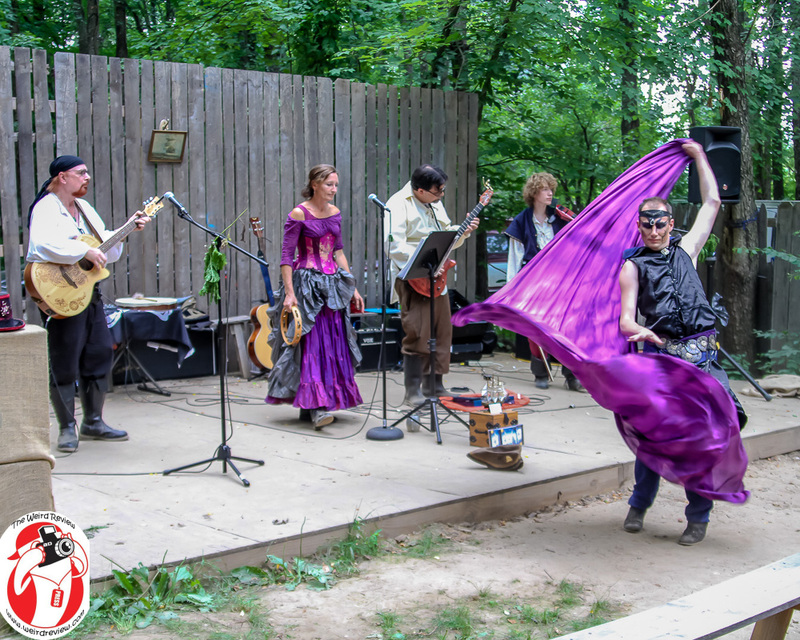 Pirates and Wenches, has been performing at the BlackRock Medieval Festival at the Olde World Village in Augusta, Michigan will likely be there again this summer. In the meantime, check out “Shores of Los Hados” on Youtube but pardon the background noises as this was recorded live near close with audience members and staff chatting near the camera. For more photos and fun, follow John N. Collins on Twitter, Instagram, Youtube, and Facebook!